For the last few years one of the annual rights of spring has been to raise money for charity by doing something ridiculous on my bike… namely riding some crazy distance in very small circles. 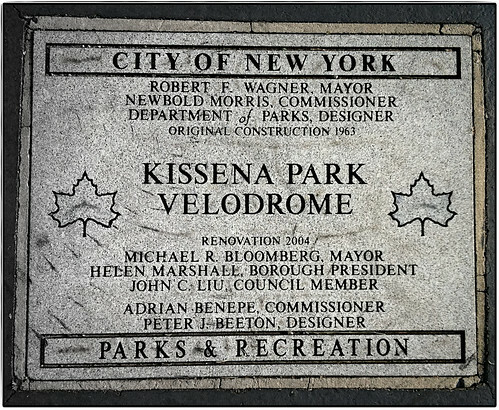 Yesterday’s circle was a 1/4 mile… round and round at the Kissena Park Velodrome in Queens. Though serious looking at the start, with early laps and other athletic looking gestures made, the hilarity was not far behind. First we were buzzed by the locals who happen to get out early and fly their radio controlled airplanes, helicopters, and whatnot, doing loops and aerobatics not far over our heads. 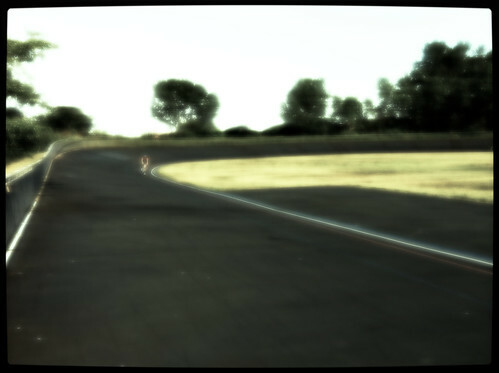 The wind, which became a constant companion started to create the home straight headwind. And the track was far bumpier than I would have thought a track would be, except this is a public park, in NYC, and so I should have known better. There were piles of food (this was Team Fatty event afterall) and enough spare tires, tubes, pumps, water, etc. to keep a small race team in good shape for a half a season.